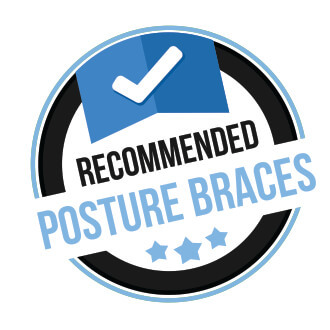 Practicing good posture may come more easily to some than most – if you have poor poise, yoga and posture stretches may be exactly what you need . Americans today experience some of the worst posture in the world since office and desk jobs keep us sitting at our computers for most of the day. Staring at a computer screen doesn’t automatically mean we have poor posture, but being aware of how you are sitting, the curve of your back, and the tilt of your neck can all have postiitve or negative impacts on your posture. If you adopt bad sitting habits over time, your body will become comfortable with that posture even though it’s doing you unrecognizable harm. Yoga is one way to stretch and align your spine. 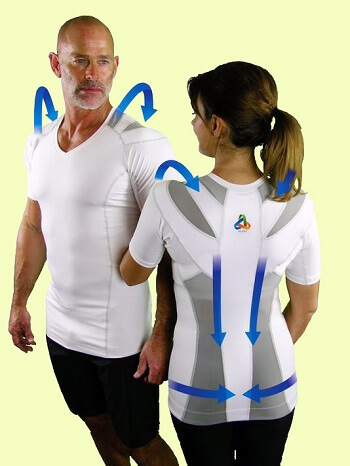 It promotes airflow through the entire body and has many positive impacts on the body. There are several specific yoga stretches and excercises than can be practiced in order to promote good posture. You can perfrom these exercises each day, or as you have time during the week. When you first start these poses or stretches, you may experience soreness, especially if you have very poor posture. When you perform these exercises, muscles will be worked that may not have been activated in a while due to bad posture. It will be perfectly normal to experience some soreness during or after the yoga and posture stretches. 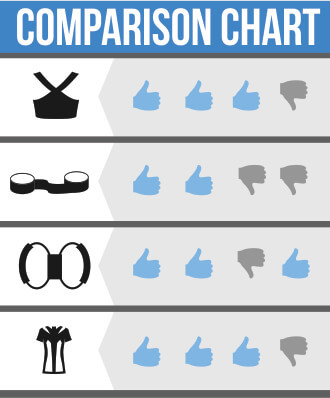 In basic terms, you may feel like you just mildly worked out. The mountain pose or Tadasana, is more of a stance than a posture exercise. performing this pose trains your brain and muscles to practice good posture because that’s literally what this pose is – the perfect posture stance. Stand with your feet slightly apart so they are aligned with your shoulders. Start by transferring your body weight to the heels of your feet and slightly lift your toes and spread them wide. Then place your toes back on the floor. Be sure not to lock your legs and squeeze your buttocks and thighs while aligning your ankles and thighs. Take a deep breath and inhale while you move your arms towards the celing. Take 6 breaths before you exhale as your drop your arms back towards the floor. Mountain pose is typically the first pose to many other yoga stretches, so it’s important to correctly understand and administer the stance. Another pose or yoga stretch that is good for your posture is the standing forward bend or ‘forward bend’. This pose involves bending at the hips, leaning forward, and reaching your ankles. If you are very flexible, you will be able to bend forward and place your palms flat on the mat or around to the back of your ankles. It’s important to not lock your legs during this pose. The Forward bend has many other health benefits besides strengthening your spine and helping with posture. When you bend over, your head falls below your heart and actually gives your brain a rest. The bend is a stress reliever and can help those with anxiety and depression – it’s a very calming and peaceful pose. curve the back as you lift your upper body. Flatten the palms of your hands and support the weight of your upper body as you lift. Hold the pose for 15-25 seconds and exhale as you slowly return to the floor. Repeat 4-6 times. The Cobra Pose is not only good for strengthening your spine and practicing good posture, but it can also relieve sciatica, stress, and fatigue. 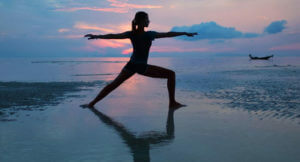 promotes good posture is the warrior pose. This is a very common exercise practiced regularly by people who are strengthening their spine and who practice good posture. You start the pose by turning your left foot inward to about a 45 degree angle and your right foot outward at 90 degrees. When you alternate legs, just make sure both feet are pointing out towards the same way. Align both heels. Turn your upper body to the right and gently bend the left knee. Extend and stretch the right leg and raise your hands slowly up so your palms meet. Gently tilt the head back and look up towards your hands. Hold the pose for 30 seconds and you can repeat 3-4 times. Once you practice and master the yoga poses mentioned above, you can try out several other poses that promote a healthy spine. Hero Pose – Hero Pose is a great strech for the lower body, espeically the legs and thighs. It’s a popular pose for those who stand on their feet most of the day and have tired legs and ankles. The Hero Pose is not directly related to good posture, however it relaxes the legs and feet after a long day on your feet where you back or spine may have been strained. Child’s Pose – Child’s Pose is another excercise that does not direclty relate to the spine, however it is a great way to rest the body in between other yoga poses or exercises. It can be thought of as a cool down pose or resting pose. It’s also an awakening stretch than be performed in the morning to start the flow of blood and get you started for the day. Cat Pose – Cat Pose is a great posture pose that specifically stretches the spine. If you know you have poor posture and sit or stand hunched over a bit, then this is a great stretch for you. This pose involves being on your hands and knees and curving your back up towards the ceiling. Combine this pose with one of the other posture stretches above, as it is a good complement to the others. Locust Pose – Locust pose is another great way to stretch and elongate the spine. The pose involves laying on your stomach and raising the feet and arms upward, while balancing your weight on your lower torso and ribs. This exercise may be a bit more advanced, especially if you have a back injury and have very poor posture. Start with the other poses first and work your way up to this pose. Chair Pose – Chair pose is another spine strengthening exercise. It involves exactly what the name suggests which is posing in a chair position. The knees are gently bent and the arms are extended upward to align the spine. Try this pose up against a wall for more support if you are a beginner. There are hundreds of yoga poses and exercises that provide health benefits and strengthen the muscles of the body. These exercises are particularly targeting your back and spine in order to stregthen your muscles that promote a good posture. By practicing these yoga poses on a daily basis, you can open up your airways, strengthen your vertebrae, and align your spine. Many people fall into terrible sitting stances and habits during their day, and your body actually adopts those bad habits as the norm. By practicing yoga poses, your body is put in check, and good posture habits can be formed. Slouching and poor habits will then become more noticeable and your body will signal you to sit up straighter. Next post: Lordosis Posture – What is Lordosis and Can it Be Corrected?